Before :- V. Ramkunmar & P.Q. Barkath Ali, JJ. Crl. M.C. No. 2303 of 2011. D/d. 12.8.2011. For the Petitioners :- K. Ramakumar (Sr. Advocate) & T.K. Kunhabdulla, Advocate. For the Respondent :- Spl. Public Prosecutor (M. Ajay), Advocate. in Sessions Case No. 2 of 2010 (N.I.A.) on the file of the Special Court for the Trial of N.I.A. 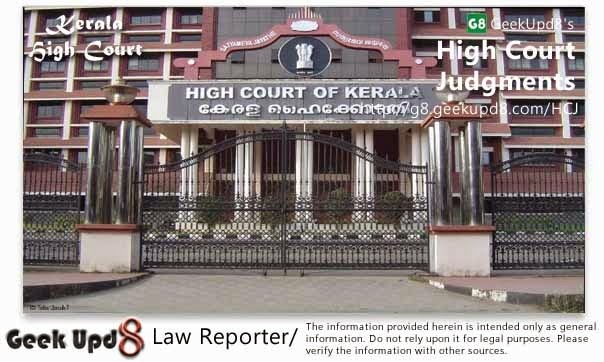 Cases, Kerala at Ernakulam (hereinafter referred to as "the Special Court" for short), challenge Annexure - C order dated 8.7.2011 passed by the Special Court. As per the said order, the Special Court dismissed their application filed as Crl.M.P. 135 of 2011 (Annexure - IV) seeking to cancel Annexure-III order dated 2.9.2010 of the Special Court tendering pardon to the approver, Shammi Firoz who was originally A-7 and who was subsequently examined in the case as P.W.I. 3.3.2006 Infuriated by the attitude of the officials including the Executive and the Judiciary in not granting bail to the Muslim accused persons involved in the Marad carnage case the nine accused persons hatched a criminal conspiracy to make, plant and explode bombs in the K.S.R. T. C. Bus stand and the Moffusil Bus Stand in Kozhihode city and they thereby committed offences punishable under Sections 120 B, 124 -A, 153 A and 324 read with Section 34 Indian Penal Code and Sections 16 (1) (b), 18 and 23 of the Unlawful Activities (Prevention) Act, 1967 and Section 3 of the Explosive Substances Act, 1908. Two cases were registered as Crime Nos. 80 of 2006 and 81 of 2006 of Kasaba and Nadakkavu Police Stations, Kozhihode. 13.6.2006 The investigation of the two cases was transferred from the local police to the CBCID SIG-III, Kozhihode. 1.12.2009 The Government of India entrusted the investigation of the case with the National Investigation Agency ("N.I.A". for short) . 4.12.2009 The aforesaid two crimes were re-registered as Crime Nos. 5 of 2009 and 6 of 2009 of N.I.A., New Delhi. 19.3.2010 A7 Shammi Firoz was arrested by the N.I.A. 20.3.2010 Shammi Firoz was produced before the Special Court for the trial in N.I.A. Crime No. 5 of 2009. On that day he made Annexure A written request (registered as CrI.M.P. 437/10) expressing his willingness to turn an approver and make a full and true disclosure of the entire circumstances of the case within his knowledge. 25.3.2010 The Superintendent of Police, N.I.A. filed Annexure - I petition (registered as Crl.M.P. 436/10) to record the statement of Shammi Firoz under section 164 Criminal Procedure Code since he had expressed his willingness to disclose the entire circumstances of the case involving himself and others. (This petition was filed since the police alone could sponsor an accused to be an approver). 30.3.2010 The Special Court allowed Crl.M.P. 436/10. 31.3.2010 On the direction of the Special Court, the Judicial Magistrate of First Class, I, Ernakulam recorded the statement of Shammi Firoz under section 164 Criminal Procedure Code and Shammi Firoz accepted the tender of pardon by expressing his willingness to make a full and true disclosure of the entire circumstance of the case within his knowledge. 14.6.2010 The Superintendent of Police, N.I.A. who is the Chief Investigating Officer filed Annexure-II Petition (Registered as 735/10) to treat A 7 (Shammi Firoz) as an approver and tender him pardon. 2.8.2010 The N.I.A. filed charge-sheet against 8 accused persons after deleting A-5 . A-6 was killed in an encounter at Jammu & Kashmir. A-2 and A8 are absconding. A-3 was granted bail. Others are in judicial custody. 2.9.2010 Shammi Firoz also filed Annexure-B petition (registered as Crl.M.P. 1056/10) to tender him pardon since he had already expressed his willingness to disclose the entire facts and circumstances in his statement recorded Section 164 Criminal Procedure Code by the Magistrate. "Direct evidence may not be plentifiil. 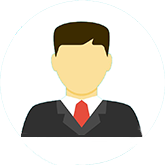 In the very nature of the case approver's evidence, if available, will be a boon to the prosecution to establish the offences. Once approver's evidence is made available, there need only be search for corroboration which can even be front circumstances ". There is no dispute that this order was passed by the Special Court under Section 307 CrP.C. In view of the order in Crl. M.P. 735/07 the Special Court allowed Crl.M.P. 1056/10. 21.2.2011 Shammi Firoz, the approver was examined as P. W. 1 before the Special Court during the trial of SC 2 of 2010 NIA. iii) Shammi Firoz examined as P.W.1 committed breach of the condition of pardon by not making a full and true disclosure of all the circumstances within his knowledge as could be discernible from his evidence. 17.5.2011 On behalf of the N.I.A. Annexure - V objection was filed by the Special Public Prosecutor opposing CrI.M.P. 135 of 2011. It was inter alia contended that the Special Court constituted under the N.I.A. Act- 2008 was a Court of Session in view of Section 16 of the N.I. A. Act as per which the Special Court had the power to take cognizance of the offences without the accused being committed to it, that the Special Court being a Court of Session had the power to tender pardon to an accused under Section 307 Criminal Procedure Code, that the order granting pardon was a speaking order supported by reasons, that the evidence given by P.W.36 the Magistrate who recorded the statement of Shammi Firoz would show that the approver had disclosed all the facts truly concerning him and the co-accused that the approver had given evidence truly and no prejudice will be caused to the accused persons, that in case the approver had not complied with the conditions of pardon Section 308 Criminal Procedure Code could be invoked only by the Public Prosecutor and that the accused/petitioners had no right to challenge the order granting pardon nor had they any right to be heard in the matter. 8.7.2011 The Special Court passed the impugned order dismissing Crl.M.P. 135 of 2011 and upholding the objections of the N.I.A. 3. It is the above order dated 8.7.2011 passed by the Special Court which is assailed in this Crl. M.C. 4. We heard Sr. Advocate Sri. K. Rama Kumar, the learned counsel appearing for the petitioners and Sri. M. Ajay, the learned Special Public Prosecutor for the N.I.A. 5. When this Crl.M.C. was filed, the Registry had objected to the maintainability of this Crl.M.C. on the ground that the impugned order is a final order and it was, at best, a revisable order. The learned counsel for the petitioners, however, maintained that the impugned order would not terminate the main proceedings before the Special Court and it was, therefore, only an interlocutory orderand since no revision would lie against such order, the Crl.M.C. under Section 482 was maintainable. In view of the above stand taken by the petitioners the learned Single Judge directed the Registry to number the Crl.M.C. Subsequently, the learned Judge ordered the matter to be placed before a Division Bench in view of Section 21 of the N.I.A. Act. That is, how this Crl.M.C. came for consideration before us. Appeals. (1) Notwithstanding anything contained in the Code, an appeal shall lie from any judgment, sentence or order, not being an interlocutory order, of a Special Court to the High Court both on facts and on law. (3) Except as aforesaid, no appeal or revision shall lie to any court from any judgment, sentence or order including an interlocutory order of a Special Court. (4) Notwithstanding anything contained in sub-section (3) of section 378 of the Code, an appeal shall lie to the High Court against an order of the Special Court granting or refusing bail. Provided further that no appeal shall be entertained after the expiry of period of ninety days. If the order dated 2.9.2010 which was sought to be cancelled is not to be treated as an interlocutory order then it was appealable under Section 21(1) but no appeal has been filed. As per Section 21(5) an appeal has to be preferred within 30 days of the date of the order. Even though the first proviso to Section 21(5) enables the High Court to entertain an appeal after the period of 30 days if the appellant had sufficient cause for not preferring the appeal within the thirty days the second proviso thereto says that no appeal shall be entertained after the expiry of 90 days. This means that after 1.12.2010 when 90 days expired from the date of the order, even this Court could not entertain an appeal notwithstanding the existence of sufficient cause, if any. This Crl.M.C. was filed only on 15.7.2011 which is long after the said 90 days. Even if this Crl.M.C. were to be converted to an appeal, still it will be an incompetent appeal filed after 315 days of the order dated 2.9.2010 and such appeal cannot be entertained after the extended period of limitation. A perusal of Section 19 of the N.I.A. Act will show the concern for expeditious trial which has to be given precedence over the trial of any other case. It is the above time bound dispensation which is reflected in the second proviso to Section 21(5) of the N.I.A. Act. 7. If, in the alternative, the order dated 2.9.2011 is to be treated as an interlocutory order then Section 21(3) is an express bar to an appeal or revision even against interlocutory orders. When the Legislature has specifically prohibited an appeal or revision even against interlocutory orders, the above statutory obstacle cannot be indirectly surmounted by filing a petition under Section 482 Criminal Procedure Code In other words, the inherent power of the High Court cannot be exercised for doing some thing which is expressly prohibited by the statute. 8. On the merits also we are not inclined to accept the contentions of the petitioners. As for the contention that the Special Court had no power to grant pardon under Section 307 Criminal Procedure Code, Harshad S. Mehta & Ors. v. State of Maharashtra, (AIR 2001 SC 3774) is a complete answer in the case of Special Courts. In paragraph 52 of the said decision the Apex Court addressed the question as to whether a Special Court has the power to grant pardon at any stage of the proceedings and the source of power of the Special Court to grant pardon. It was held that the power under Section 307 Criminal Procedure Code cannot be denied to the Special Court merely because there was no commitment of the case to the Special Courts Moreover, in this very same case on a different occasion this Court in Shammy Firoz v. National Investigation Agency, (2010 (4) KLT 409) had noted that it was in compliance of the Section 307 Criminal Procedure Code that the Special Court tendered pardon too Shammy Firoz. (See paragraph 14 of the said decision). 9. The argument that the order granting pardon is vitiated for non-compliance of sub-section 4 (a) Section 306 Criminal Procedure Code is also to be repelled in the light of the conclusion in para. 12 of the decision of the Apex Court in A. Deivendran v. State of Tamil Nadu, (AIR 1998 SC 282). 10. Although the power to grant pardon is vested in the Court, ordinarily it is for the prosecution to ask that a particular accused out of several, may be tendered pardon. Even where the accused directly applies to the Special Judge, he must first refer the request to the prosecuting agency which is to decide whether to sponsor or not the said request. (See Jasbir Singh v. Vipin Kumar Jaggy & Ors.. (2001 (3) KLT 346 (SC) = AIR 2001 Supreme Court 2734). This was the reason why even though Shammy Firoz filed an application to turn an approver on 20.3.2010 the Special Judge directed the Magistrate to record the 164 statement of Shammy Firoz only on receipt of Cr1.M.P. 436 of 2010 by the N.I.A. 11. Equally misconceived is the petitioners' contention that the order granting pardon is not a speaking order supported by reasons. The order dated 2-09-2010 is undoubtedly a speaking order. 12. It is pertinent to note that the prosecution has no case that Shammy Firoz examined as P.W.1 had breached the contract between him and the State by resiling from the conditions of pardon. Even in the case of abreach Section 308 Criminal Procedure Code, the Legislature has advisedly reposed the remedy only in the Public Prosecutor. The Public Prosecutor has no grievance that Shammy Firoz examined as P.W.1 has resiled from the condition of pardon or that he has failed to make a full and true disclosure of the entire circumstances of the case within his knowledge. Hence, Annexure IV petition filed by the petitioners under Section 306, 307 and 308 Criminal Procedure Code was misconceived since those Sections do not entitle the accused to seek a cancellation of the order granting pardon to the approver or to re-transpose the approver back to the array of accused. The result of the foregoing discussion is that this was an ill-advised expedition by the petitioners/accused who were actuated by the sinister motive of aborting the trial assiduously conducted by the Special Judge: We, therefore, dismiss this Crl.M.C. Dated this the 12th day of August, 2011. Expiry of 90 days from date of order - High Court cannot entertain an appeal notwithstanding existence of sufficient cause.